One of Merriam Webster’s definitions of the word, Anabasis, is “a difficult and dangerous military retreat,” and that is exactly what faced the author Xenophon and the army of 10,000 Greek mercenaries of which he was a part. Around 400 B.C., after the death of the then Persian ruler, Darius, a struggle for the Persian throne took place. 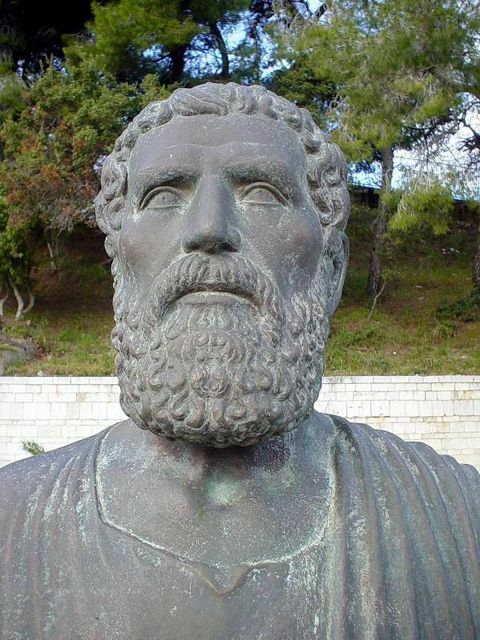 Darius had two sons, Artaxerxes and Cyrus, the latter of which ruled over Asia Minor and had supported Sparta towards the end of the Peloponnesian War. 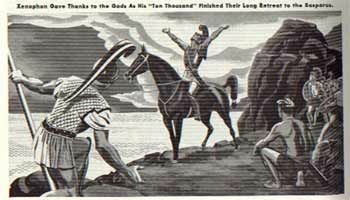 This connection allowed him to assemble an army of Greek mercenaries, ostensibly hired to put down a rebellion, but in reality Cyrus decided to use them to try to wrest control of the empire from Artaxerxes. The mercenaries, led by the general Clearchus (a Spartan – and for a good reference list of the characters in this book, see the following website http://literapedia.wikispaces.com/Anabasis+-+The+Persian+Expedition) were somewhat dismayed to find themselves marching against the Persian King instead of some rebellious rabble, eventually decide to continue on in service of the charismatic leader, Cyrus (of course, I’m sure promises of increased pay did not hurt their making this decision). They meet the forces of Artaxerxes, under command of his treacherous general, Tissaphernes, in the battle of Cuxana. Though greatly outnumbered, the Greek hoplites are much superior to their Persian counterparts and are effectively carrying the day in the battle, but a javelin ends the life of Cyrus himself, thus rendering the “victory” to the King’s army. Now the Greeks were in a pickle. Deep in the heart of Persia, they were surrounded” by a hostile army of the now undisputed king, who was telling them to lay down their arms. What follows deliberations amongst Clearchus and the other generals, trying to decide if they should put their fate in the hands of Tissaphernes by laying down their arms or try to march home. They decide on the latter and, after further negotiations with Tissarphenes, seem to have reached a nervous truce and agreement to march north to the sea, not making war along the way but taking only whatever provisions they might need, etc. 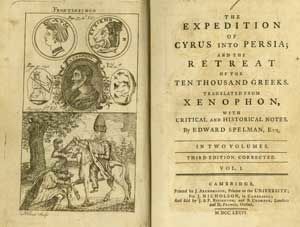 Xenophon is great – we had to read pieces of this at school and it was a nice change from Herodotus. This sounds much less intimidating than Herodotus. But I haven’t read either! Thanks for the background, how interesting that he was a part of it all. Should give it an interesting perspective. Thanks for participating in the Circuit! This was the basis for the movie THE WARRIORS’ which described the story in the OP sequence. 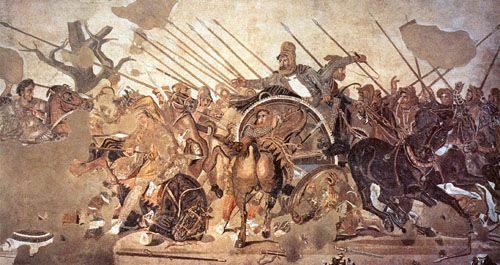 Xenophon’s narratives were described as 2nd-rate narratives but his depiction of the march was one of the most compelling because instead of Marathon or Thermopylae, it was more of a tragedy but eventual victory against all odds. On another subject, until now, I never trust persians/Iranians etc..